Whether you’re searching for something different to do with your friends near Chula Vista or you’re looking for the perfect team building exercise near Carlsbad, an escape room is great fun for everybody. In escape rooms, you’ll work together with the group to solve a puzzle and find your way out of a locked room. Find the best escape rooms San Diego, CA residents are talking about with this guide to some of our favorites with Mossy Toyota, your certified San Diego Toyota dealer. Escape Game SD offers three thrilling escape room adventures. Wizards and Spells puts you in the halls of a wizardry school, Japanese Thriller takes you to a spooky abandoned apartment, and Superheroes Adventure requires you to escape the clutches of a villain. Choose between a wide range of games with varying difficulties at Lockdown Escape Rooms – San Diego. The Medieval game is the easiest, Voodoo and Western are of medium difficulty, and the Science game will be your most challenging option. Lockdown also offers team building games – perfect for companies to bring their employees together. Another creative spin on the escape room phenomenon, Escapology offers three fun and unique games from which to choose. Antidote is perfect for fans of sci-fi, TH3 C0D3 features a thriller theme, and Budapest Express will take you to Central Europe in 1931. Prices start at $80 for two players and increase for each additional player, with a cap at six players for $210. A local San Diego escape room that isn’t part of a wider franchise, Quicksand Escape Games offers three fun games for you and your friends. You can save the Chinese New Year parade in Chinatown, rob a local diner in The Diner, or go back to the Roaring Twenties in The Speakeasy game. 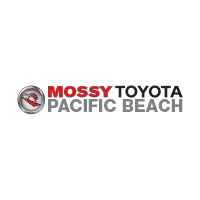 Find More Fun Near Encinitas with Mossy Toyota! Follow the Mossy Toyota blog to find more nightlife and activities around La Jolla and greater San Diego. Stop by our dealership today to check out our impressive selection of new and used Toyotas, and be sure to contact us if you have any questions! The Mossy Toyota blog isn’t just your place to find fun things to do in San Diego. We also have helpful posts about caring for your vehicle, like the benefits of regularly washing your Toyota. Find this and more when you check out our other blog posts below.